With over 14,000,000 downloads, WooCommerce is one of the most popular webshop platforms out there. It is one of the most affordable too, offering free plans for small store owners. What most WooCommerce user underestimate though, is the power of the extensions. These, often free, tools can make your webshop so much powerful. In this article we made a list of the 21 extensions for WooCommerce that can assist you in several marketing activities. We show you what they can do, how you can benefit from them, the price and the rating as rated on the Wordpress store. Need more help with your e-commerce business? Check out Neil Patel's useful free ebook about building an e-commerce business. This is one of the top email marketing plugins for WooCommerce. Developed by 75nineteen media, Follow-Up lets users automate communications by means of Twitter and email. After subscribing, you get access to product support along with updates for a year. With Follow-Up emails, you can: Tweet and email existing and target customers Automate marketing communications Track effectiveness of sent emails Customize templates for emails and campaigns Overall, Boost WooCommerce email system Since Follow-Ups use WordPress editor and email creation, it is simple to use. The tweets and emails can be grouped into campaigns. Moreover, you get detailed reporting and Google Analytics integration. Beeketing is one of the leading marketing automation plugins available on the market – according to Learnwoo. It includes 10+ marketing tools designed to optimize conversion rates, increase average order value and nurture loyal customers in one single plugin. Among all built-in tools, the massive Beeketing for WooCommerce plugin has some highlighting ones that any eCommerce store should leverage to boost conversion and sales such as: upsell and cross-sell, automated emails, product recommendations, exit-intent pop ups and social proof,... Another good thing about this plugin is that it’s fully customizable. You can change the style/color/text of widget to match your store’s look and feel. With the Newsletter Subscription extension for Woocommerce, you can let your buyers subscribe to CampaignMonitor and MailChimp mailing lists. They can do so by using bespoke options screen. You get support, updates along with product access for one year. With the Newsletter Subscription extension, integration with CampaignMonitor and MailChimp becomes streamlined. You also get support for integrating MailPoet- a newsletter management plugin. The dashboard widget of this extension shows recent subscriber activity. The widget can be placed on any page so that users can subscribe. It is also compatible with the MailChimp Ecommerce360 service. Overall, it enables you to gather enough analytics on email campaigns. 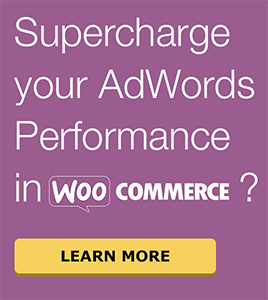 The extension for Woocommerce is quite self explanatory. Facebook Tab is ideal for those business owners who have an existing profile on the most popular social networking site and want it to leverage sales and get more buyers. This extension simply integrates with Facebook and makes a tab on the left side of the Facebook page. There the buyers can view products and buy them. This can be done within the Facebook UI. Thereafter they are taken to your site for completing the order. To ensure the plug-in works seamlessly with WooCommerce, you will need to have the newest versions of WordPress and WooCommerce. Next to that, your website should have a valid SSL certificate. The WooCommerce Instagram Extension makes using Instagram for product promotion easier. Of course, you need to have a valid Instagram account for this plugin to work. With WooCommerce Instagram, you can display Instagram images of your products, just by using specific hashtag in the content area. It lets you use the lovely Instagram images on your website. Setting up the plug-in is easy and it is very user friendly. It also lets you link to your Instagram account from Wordpress. To display a product’s Instagram images on the website, use a hashtag to every product you want to be displayed. This comes in handy when you want others to see how a buyer is actually using your product. This is a comprehensive WooCommerce marketing plugin that does not come free, but offers enough worth for the price. Every license entitles you for support and updates for a year. You can use this plug in for various online marketing needs of your WooCommerce site. It can be used to streamline online marketing tasks for WooCommerce shop owners. For example, remind buyers who have not completed a purchase and left items in cart. You may also use the extension to offer dynamic, personalized coupons to selected customers at intervals. This can also be used to email customers automatically post product purchase for posting reviews or giving feedbacks. Apart from that, it can be used to send SMS notifications to buyers. You may also use it to offer inactive customers special offers periodically to woo them back. This is an excellent extension for WooCommerce that adds advanced and cloud-based instant search capability to a WooCommerce store. This helps enhance conversion rates significantly. The extension does not cost you anything initially. It comes with a 30 day free trial after which you need to opt for a license. The plug-in adds fast search for WooCommerce sites. The good thing is that it is cloud based and so there is no load put on your server. The users get search results as they type which is time saving and relevant too. It also has a powerful learning search algorithm. There is a configuration section to customize the search experience. You also get auto generated filters for precise search. Metrilo is a one of its kind extension for WooCommerce that gives you marketing analytics, customer database and email for acting on the data. The analytics part breaks down all important sales and performance metrics so you can easily monitor how your Woocommerce shop is doing. The customer database compiles all your customers’ data and interactions with the site. This gives you virtually endless opportunities for engagement. The email works with both segments (filtered by certain criteria) and automatically on trigger actions. The best thing is that it is all in one platform, no need to do analysis in one tool and export contacts from a second to send emails via a third tool. The official plugin makes sure your data is synced in real time and all reports are accurate,even taking historical data into account. Plans are based on the tool package you choose, no limits on users, traffic or emails sent. The ideal way to boost the conversion rate of your website, is by offering buyers coupons that are worth their interest! Well, Coupon Pop is one such plugin for Woocommerce that you can definitely use to raise the conversion rate. Use it and watch visitors turn into buyers and email subscribers. It does not require coding. You can start using this extension 14 days for free. Monthly subscriptions start at $29.99 up to $79.99. With Coupon Pop, creating and displaying attractive coupons to site visitors is simple. They are just required to join a social network specified by you or join the mailing list. It is compatible with Instagram, Twitter, Facebook and other leading social media sites. To redeem their coupon code, the buyers visit your website more than once. This helps boost site ranking. It is a multilingual app too. With this amazing WooCommerce plugin you can set easy product pricing rules as well as lucrative cart discounts on your site. With this plug-in, customizing product pricing and discounts becomes simpler. It lets you set up lucrative discounts for customers buying in bulk. You can also run seasonal promotions of your products, you can set up clearance and flash sales, you can create long term pricing strategies and you can set a number of pricing rules using this extension. With its filters, you set criteria for product promotions in almost unlimited ways. By default the company offers 6 months support and you may extend it up to 1 year. WooCommerce Trusted Shops is basically an extension that allows for the integration of Trusted Shops with WooCommerce. It takes a few clicks to make the integration work. European Trustmark for online shops with money-back guarantee for consumers. Trusted Shops offers a comprehensive service to raise online trust and safety for the benefit of both online merchants and online buyers. With the Google Product Feed extension, you can create a feed so that you can send product information to the Google Merchant Center. This is prerequisite for setting up Google Shopping Product Ads. You can choose what fields you want to include in your product feed, based on Google policies. After filling everything in, you will end up with a automated feed with all your product information in the correct format for Google. Furthermore, this extensions allows you to capture data which is required by Google by using the plugin’s additional data entry fields. You will have to own a Google Merchant Center Account to use this plug-in. With it, your company products will appear in Google Shopping. This extensions is also compatible with the Product CSV Import Suite which allows you to bulk import product feed information. Google Analytics hardly needs any introduction. It is a powerful web analytics tool used for tracking pageviews and visitors on your website. The WooCommerce Google Analytics Pro plugin blends with Google Analytics accounts. You can use it for tracking the e-commerce events and it comes with top notch event tracking features including purchase and coupon usage, reviews etc. WooCommerce Google Analytics Pro basically boosts integration between your Google Analytics account and WooCommerce store. This helps you tweak strategies and fetch more revenues. There is a free version and a Pro variant. The latter offers better and accurate conversion rate tracking. It gives you clear insight into vita metrics like conversion rate, sales by category or product and so on. It also lets you monitor sales process. With time, more online businesses are resorting to the method known as affiliate marketing. In this marketing technique, you can allow other shops to sell your products or refer their clients to your website. These shops will get a percentage of the price of the product. This will result in more clients and thus more revenue for you. You can deploy an affiliate system to handle such affiliate accounts. It helps track traffic sent by those affiliates to your site. One such excellent plug-in compatible with WooCommerce is AffiliateWP. AffiliateWP is user friendly and comes with a 30 day money back assurance. It helps fetch more traffic to your website. It also makes sure that you get higher visibility of activity of affiliates as well. Eventually, it leads to more sales. This amazing plugin allows you to become an Amazon Affiliate and start selling Amazon products in your Woocommerce Wordpress store. This is a great way of increasing revenue since Amazon pays you a commission for every sold product of up to 25%. You may also get advertising fees from stuff bought by the site visitors. Its On Site Cart feature enables the buyers to check out with many products on Amazon. The Advanced Search & Bulk Import Module lets you search by Categories and keywords. Based on product category, it is possible to filter products. The CSV module lets you mass import Amazon products. With a WooZone Reporting module, tracking products imported from Amazon gets simpler. This extension is a very extensive and easy to use platform. Check out this video that explains how to install it on your webshop. As is evident from its name, WooCommerce Customer Relationship Manager is a plugin for WooCommerce sites to manage customer behavior tracking. With it, you get better insight into customer behavior and buying information. The tool makes coping with aspects of CRM simpler for WooCommerce store owners. Adding as well as editing customers is simplified by this extension. Using filters to segregate various types of customers is possible with it. You can also send bulk or individual emails to customers using this plug-in effortlessly. It even lets you view details of orders placed by all customers in one easy to manage UI. Other benefits of the extension include Mailchimp integration and support for multiple sites. Remarkety is a killer email marketing plugin for WooCommerce users. It helps you streamline and charge up email campaigns for your store and it focuses on remarketing. The plugin can be used for thirty days absolutely free. Thereafter, you can pick from the various pricing plans. With advanced plans you get coverage for more emails and features like dedicated IP address etc. It may not be very cheap, but Remarkety lets you revive your brand’s email marketing campaign. It lets you send various types of emails to win back and retain customers without requiring much intervention. The plug-in works based on the purchase habit and history of buyers. You can send the buyers various types of personalized emails, including abandoned cart and coupon emails. On top of that, it integrates smoothly with your MailChimp account. Fancy Product Designer is a wonderful plugin for WooCommerce that lets your clients design various products. Examples include cards, posters and stickers and many more. The tool lets customers change the color of the product, add text or images and much more! Fancy Product Designer lets you use text and images obtained from various sources, including your PC and online cloud service platforms with ease. The UI is very user friendly and you can customize it to suit your design needs. After creating a design, you can share it directly to popular social networks using this plugin. It offers basic support for 6 months which includes bugs resolving and third party asset handling. It can be extended to 1 year. WooCommerce is undoubtedly among the top webshop platforms for WordPress. The Yoast SEO is a top SEO plugin for WordPress. To make these two tools bond you need Yoast SEO for WooCommerce. It offers you all the information and tools you need to perform the best search engine optimization! It lets you share products in a better way on social media platforms like Pinterest. It also helps discard unwanted things from the sitemap and also ensures necessary things are not discarded by error. Along with professionally promoting the products on social media, this plugin helps you enhance the basic functionality in the backend. You get support and upgrades for a year for every type of licenses. Licences start at $49 for 1 website and go all the way up to $499 for 100 websites. The Automatic Lead Generator for WooCommerce by StoreYa is a plugin that helps you design enticing pop up coupons for your site’s visitors. It eventually helps you lure more buyers to your webshop and turn site visitors into buyers without much time and effort. You get 2 weeks of free trial and you also get both monthly and annual subscription plans, the highest being $79/month. There are three types, Economy, First Class and Private Jet, based on the amount of monthly visitors. Check the website for more information on the plans. The plug-in helps users grow social communities. You will need a free StoreYa account to use it and coding skill is not needed. The Coupon Pop's editor lets you create top notch pop-ups fast. You also get the options to decide the timing to display pop-ups. The users get pop ups to visit your brand’s social network profiles. Eventually, using it helps you boost sales significantly. The WooCommerce iPhone App makes managing your WooCommerce store on the move easier. This app is available for iOS users. When you use the app, The shop performance reports and catalogs remain always accessible. Its Data-centric dashboard lets you have a glance at monthly, weekly or daily reports quickly. You can also navigate through your product catalog at all times in the app. Once you download and install this amazing app, and connect the WooCommerce store, all the products and orders get synced smoothly. The app also lets you manage more than one WooCommerce store. Switching between various stores is also hassle free with this app. MailPoet is a plugin that easily facilitates newsletter creation in WordPress. With this MailPoet WooCommerce Add-on, you can enable your buyers to subscribe to your newsletters as they complete the checkout process after product purchase. This helps you create a means of communication with your customers. If you have several newsletter lists, the add-on enables buyers to pick which ones they want to subscribe to during checkout. Want to learn how to tackle shopping card abandonment? Download the free ebook with 20 tips!. Download the free ebook with 20 tips!